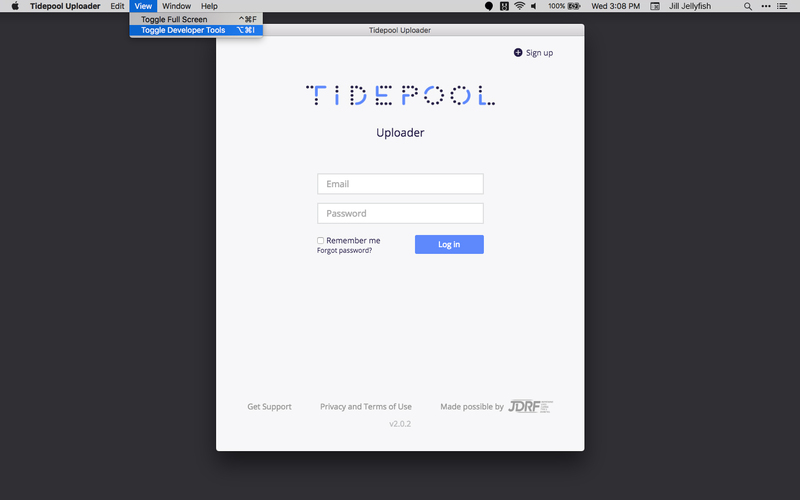 If you're viewing this page, then something may have gone wrong with your Tidepool experience, and for that, we apologize. 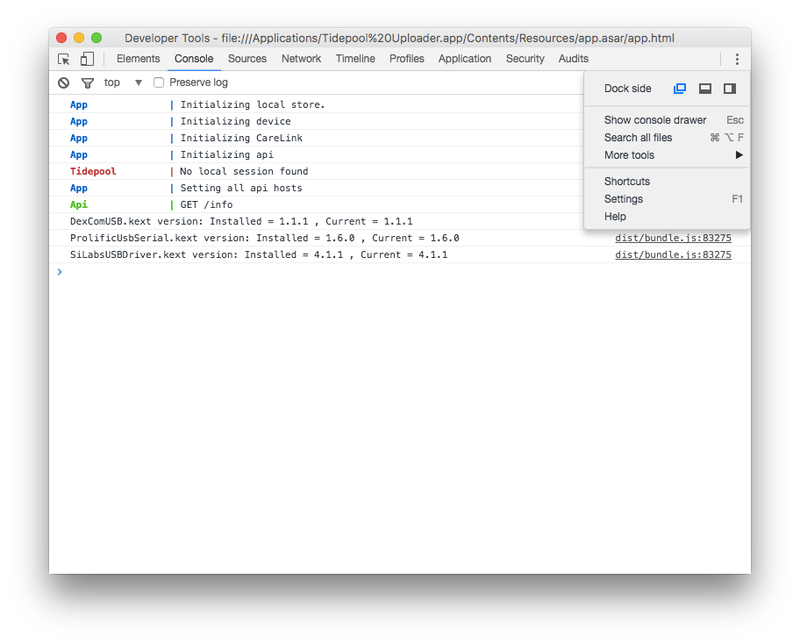 The best way to help us diagnose and eventually fix whatever issues you've encountered is to use the Developer Console. Select Console and use the menu on the right side of the window to change the view to "Undock into Separate Window". Leave this window open while you try to upload via the Uploader with the device that is failing. 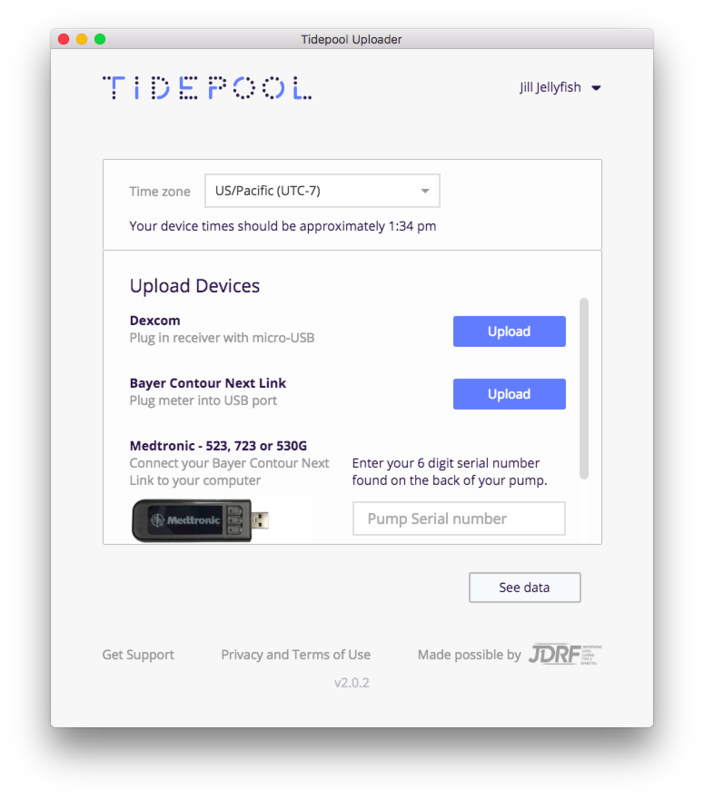 If an error appears, please copy and paste the text, or take a screenshot of the error and send it to support@tidepool.org. If possible, please expand the error to show us all of the information included. You can also right-click on the JS Console field and "Save as" to save a file that you can send to us as an attachment.